This looks very good, especially for something made from recycled waste! I look forward to seeing the finished model. I love it. You are going to bring the whole world of Ultima to life. Thanks, fellas. We need to get painting! Pretty cool model. You've go talent. Oh, by the way, did you know that you're A BLOG OF NOTE?! Congrats! What a nice Blog of Note! Google loves your blog and me too. Brilliant! 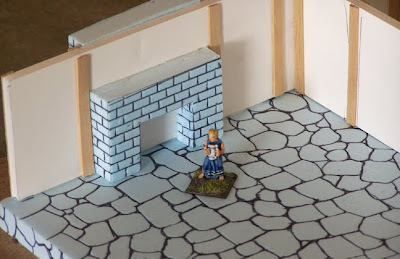 I have loads of warhammer miniatures (28mm, of course) and love webresources like this, and posts about making your own terrain (for less money than buying them) are always welcome :D with me. I do the same with the stir sticks! Free balsa wood for modelling is great. 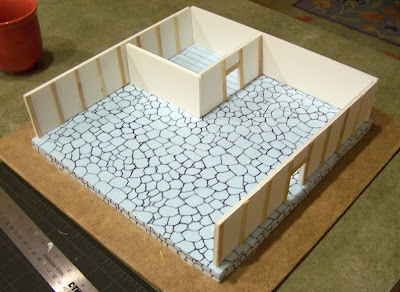 So is that floor just penned in, or did you also paint it to obtain that effect? What's the material? Yes. 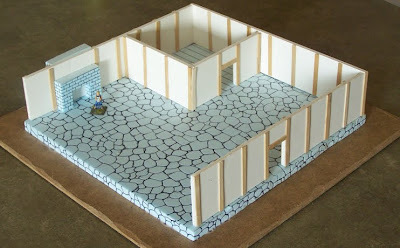 I forgot to mention that I penned in the flagstones and hardwood floor. The indentation in the foam will allow watered-down paint to fill the recesses and define the texture. Hey i really like your blog you should check out picture this mania. 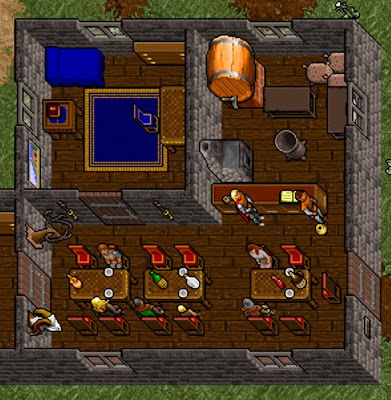 Wow ... doing a RPG set in the old Ultima world would be great ... very inspired! !